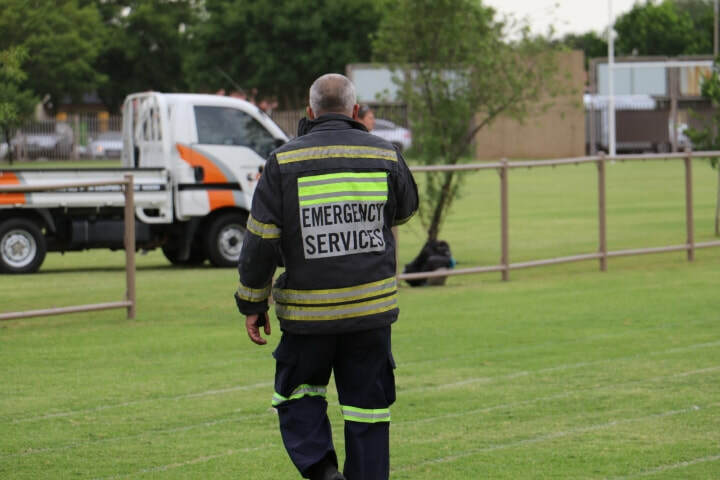 Four children have died while five sustained critical injuries after a structure collapsed at Hoërskool Driehoek in Vanderbijlpark on Friday, 1 February 2019. 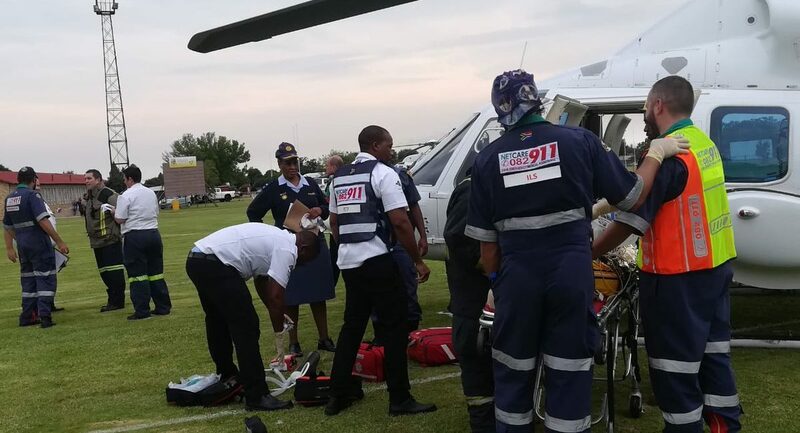 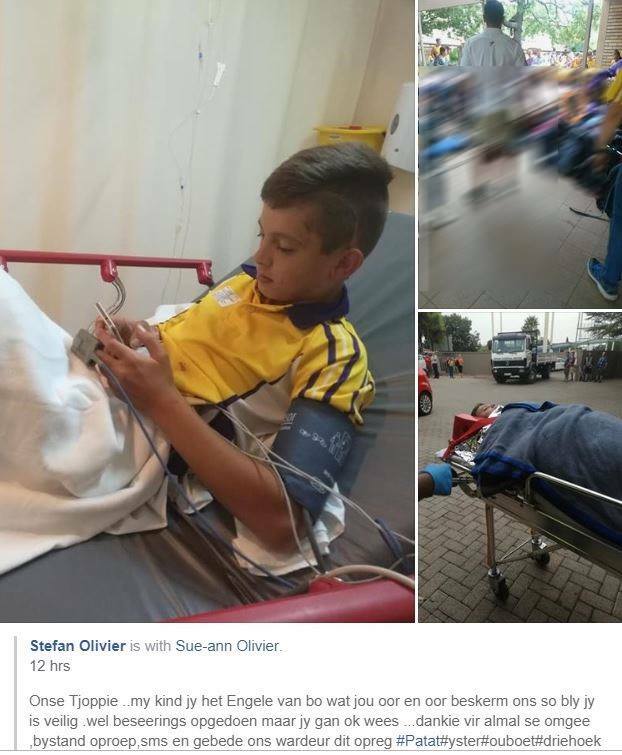 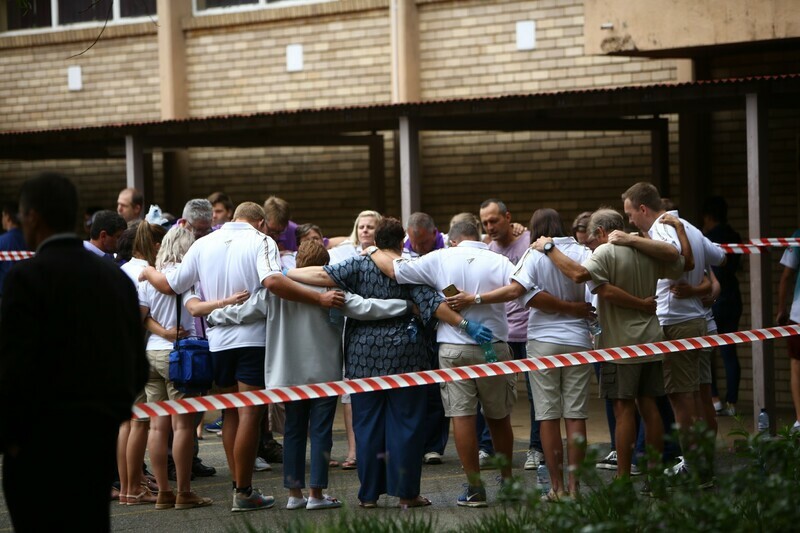 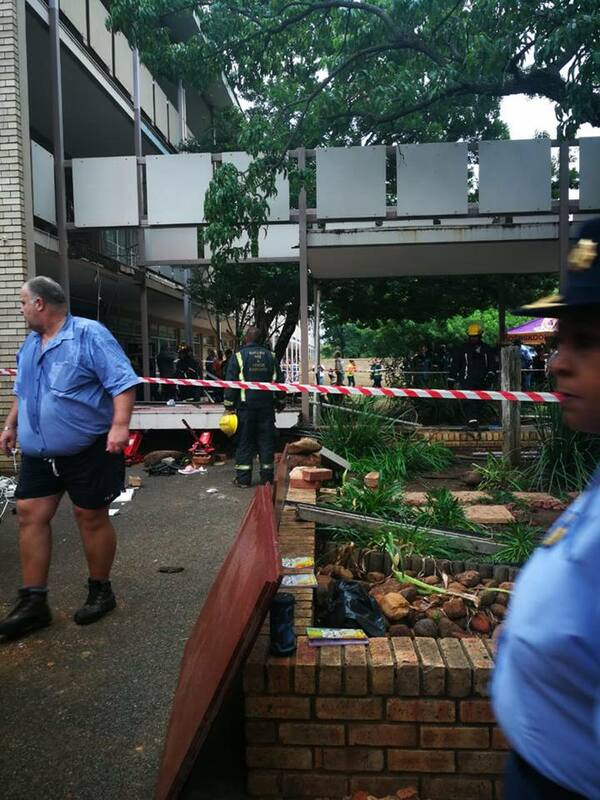 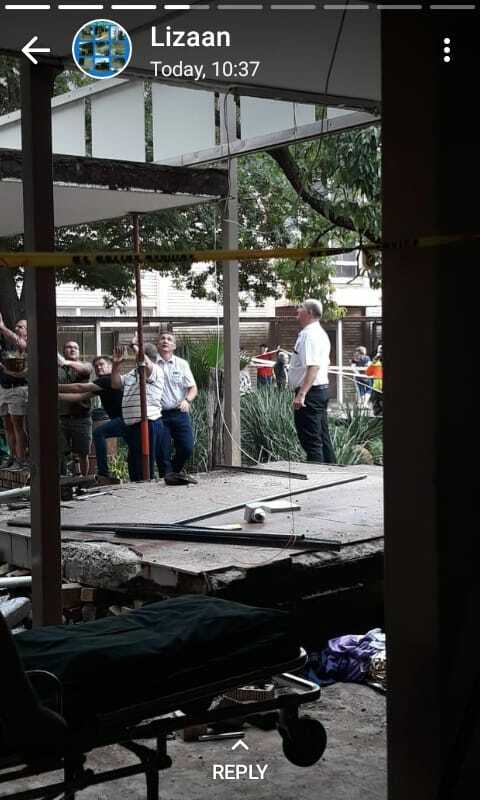 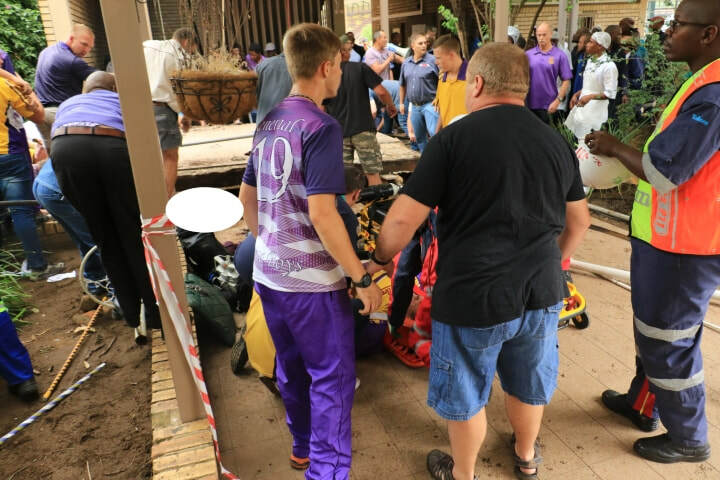 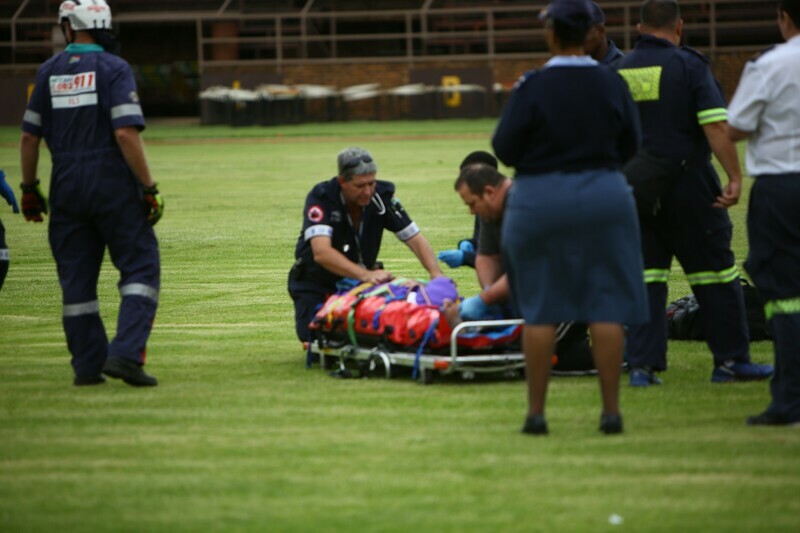 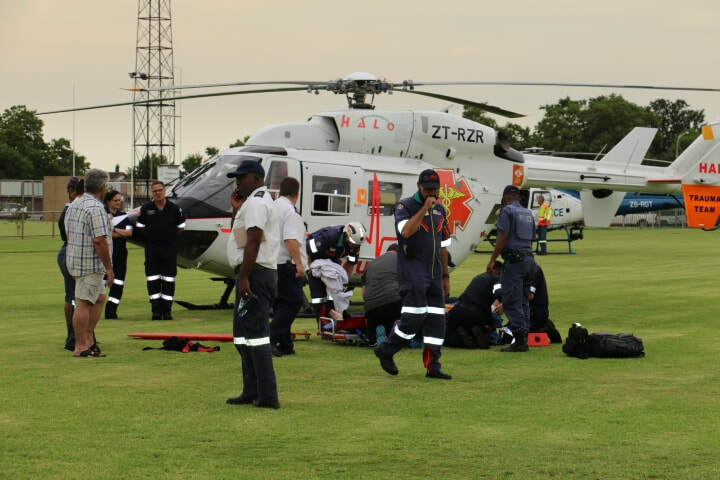 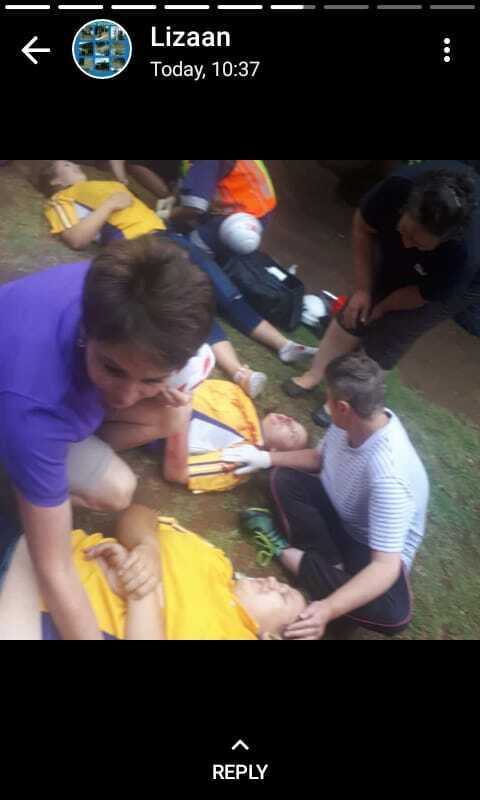 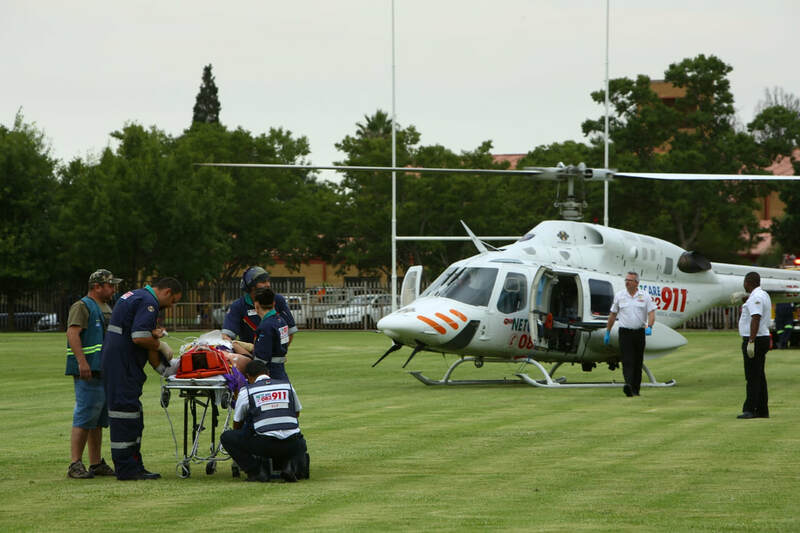 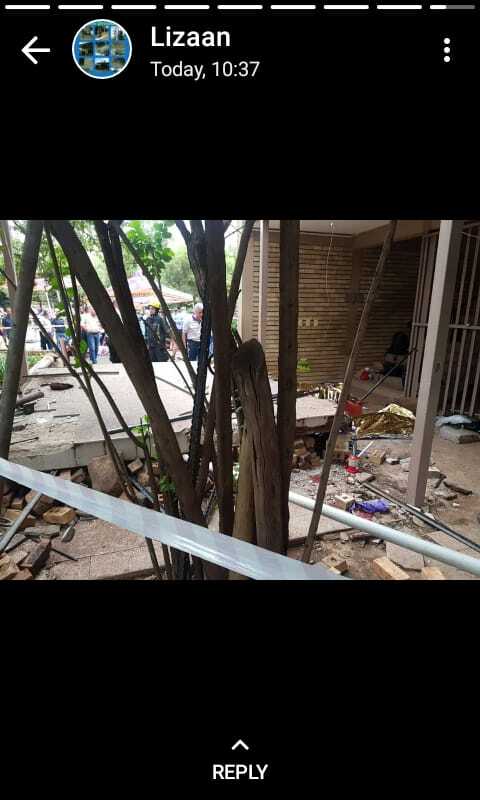 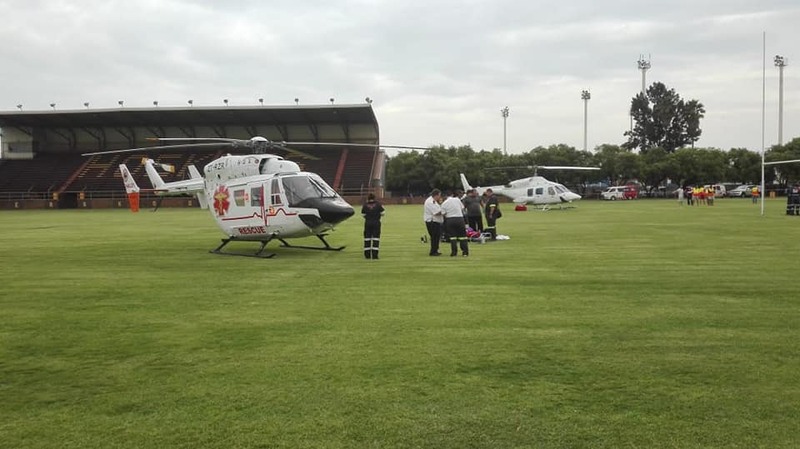 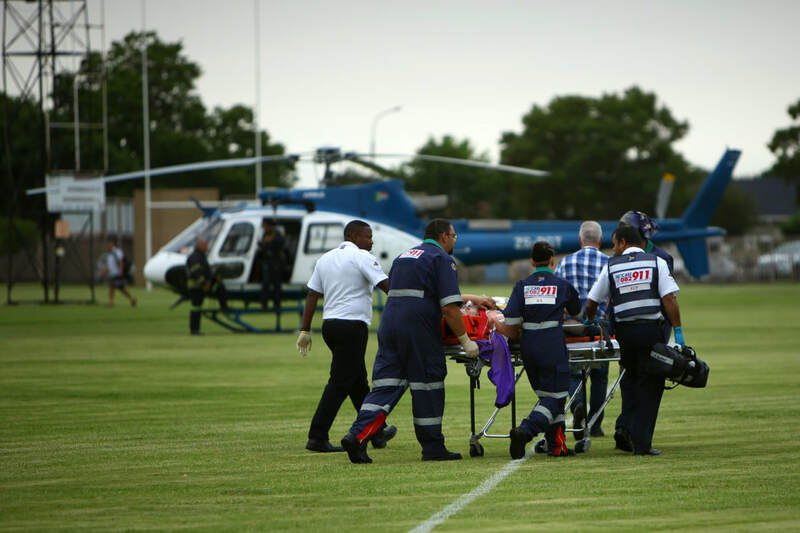 A number of children are still in a critical condition, with 23 reported injured after a walkway collapse at Hoërskool Driehoek. 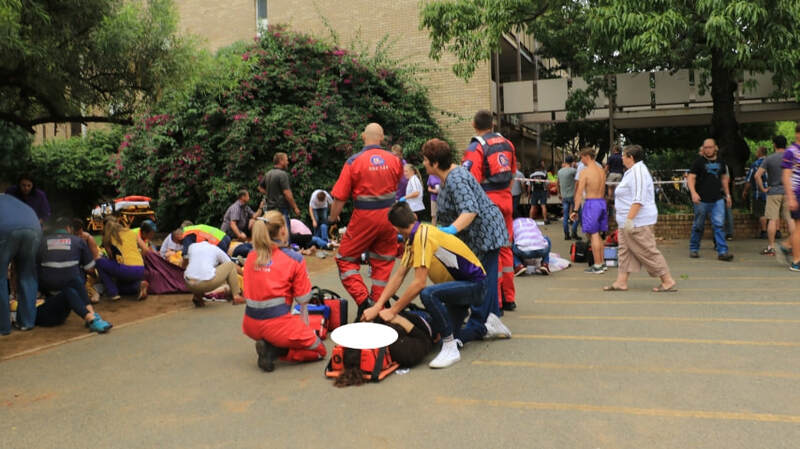 The incident happened at approximately at 8h05am and the majority of the rescue was performed by the school’s teachers and students. 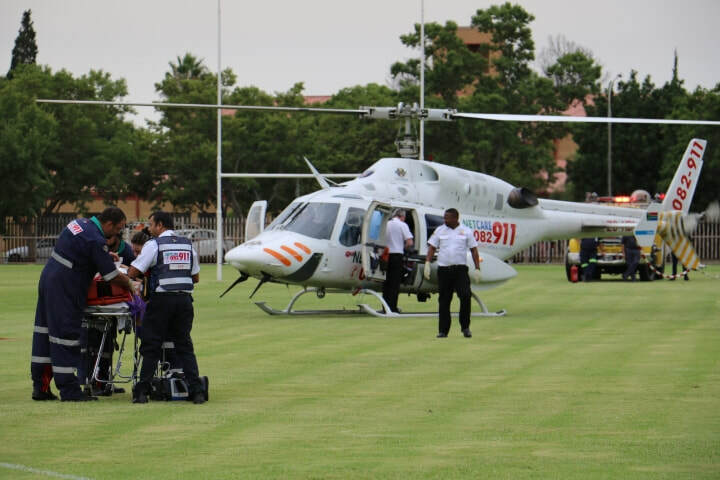 Even netball poles were used for stabilisation. 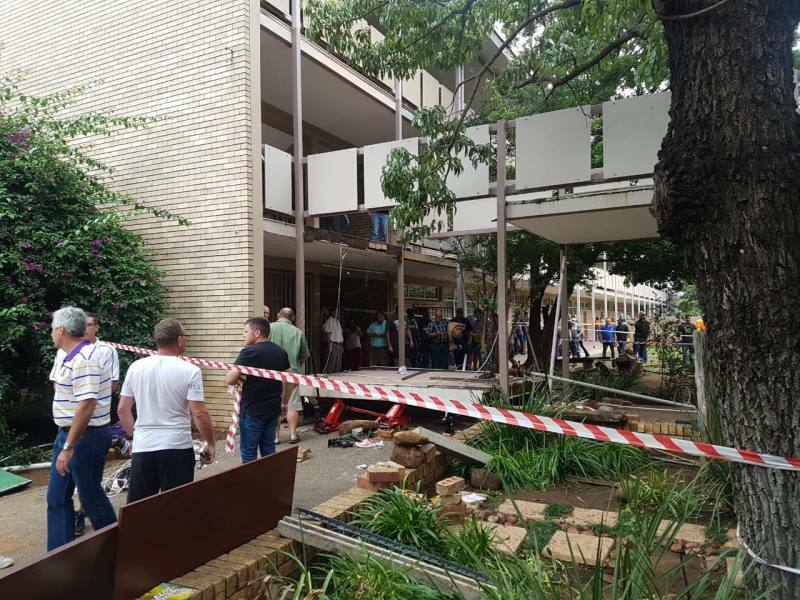 According to the Gauteng Department of Education the pupils, who had just been to assembly, were making their way to their classes when part of the structure gave way. 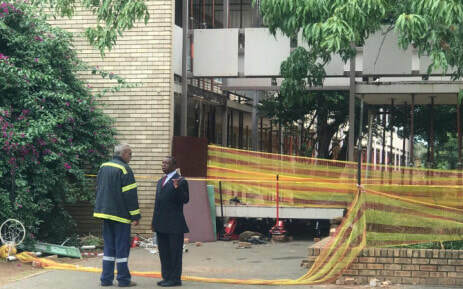 26 pupils between the ages of 13 and 18 were on the walkway when it collapsed. 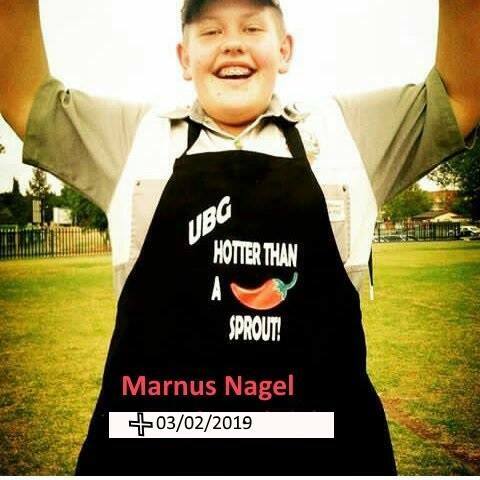 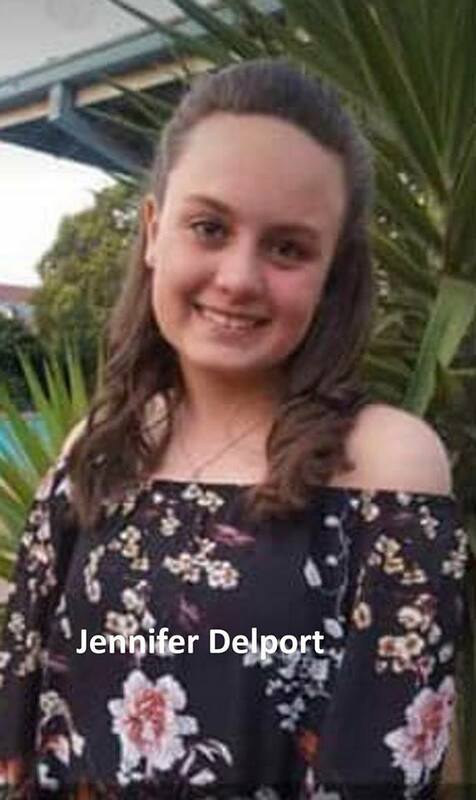 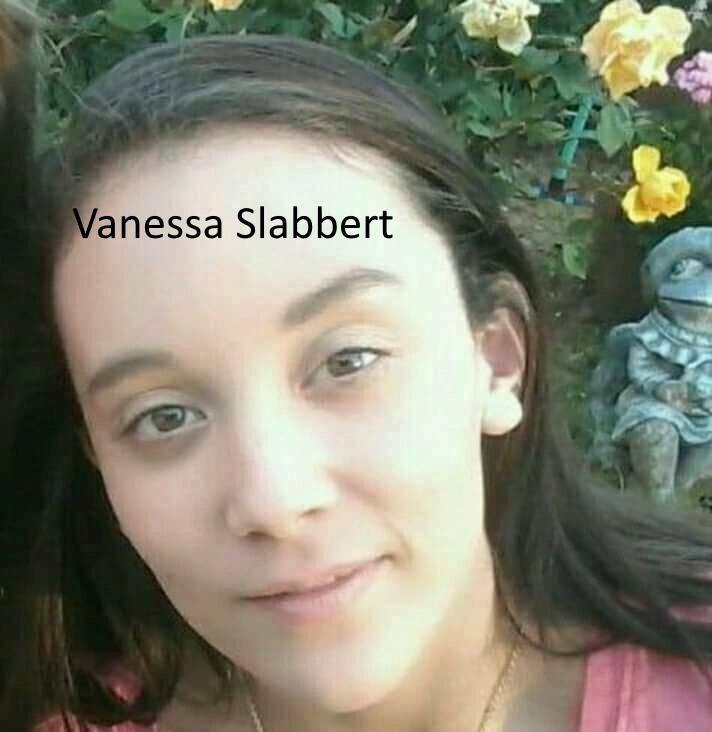 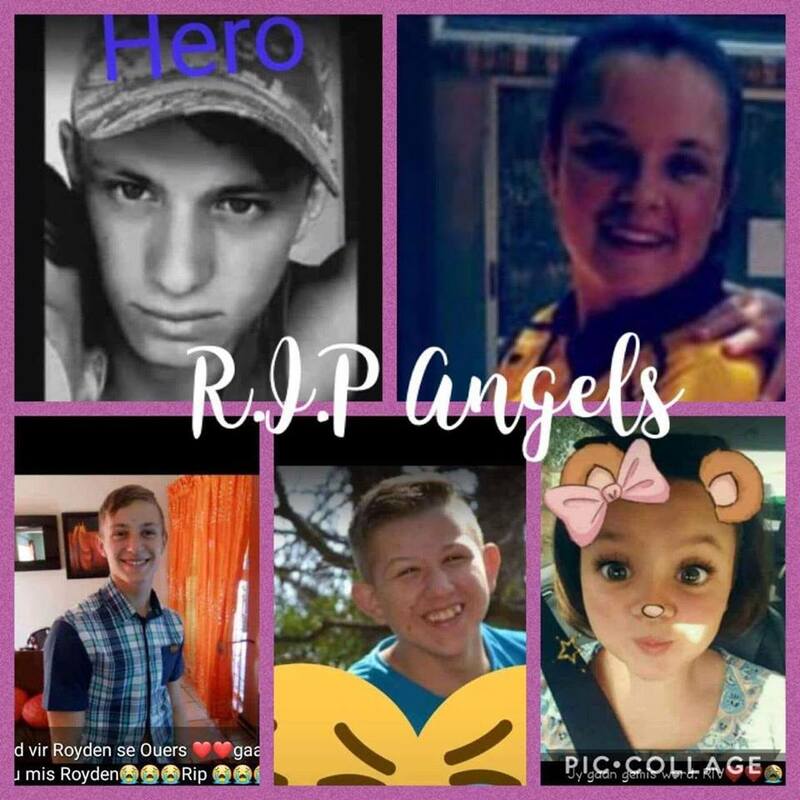 Roydon Olckers (17), Marli Currie (13) and Jandré Steyn (13) died at the scene and another pupil, Marnus Nagel (16), died in hospital on Sunday. 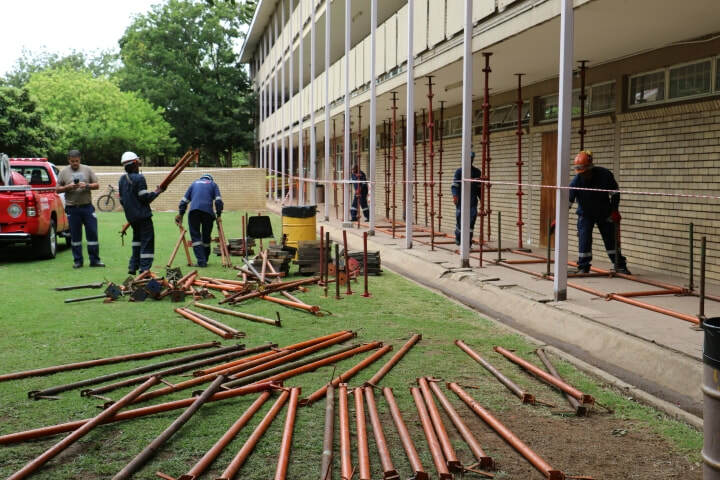 According to the department their services will be held during the course of the week. 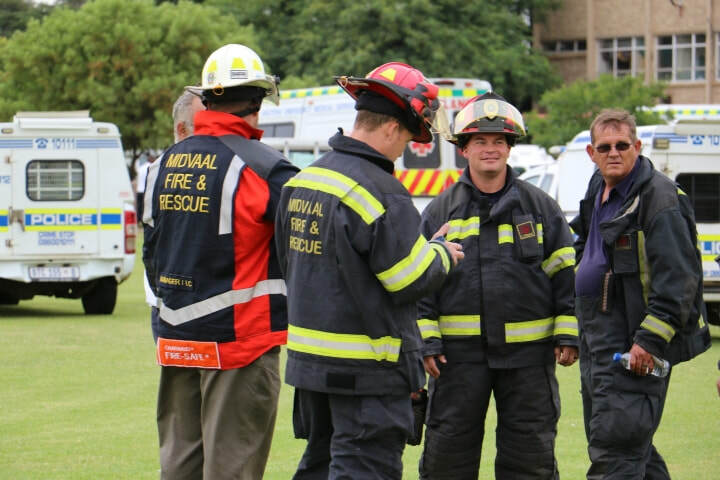 An incident command (IC) post was established on scene and Emfuleni Fire Service’s deputy fire chief operations, Anton Niewenhuisen and Chief fire officer Rory Hodgkinson of National Petroleum Refiners of SA (NATREF) served dual command. The JOC was established inside the school and a triage staging area was set up opposite to where the incident occurred. 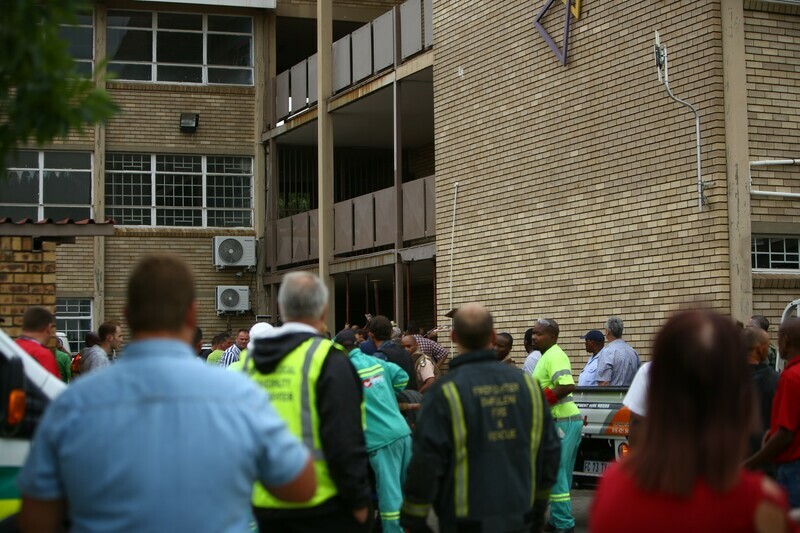 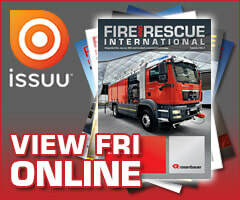 Agencies who responded included Emfuleni Fire Service, NATREF, Sasol’s Sasolburg Operations, ArcelorMittal South Africa Fire Service, Sedibeng Disaster Management, Gauteng Province EMS, South African Police Service (SAPS), Cape Gate, Omnia Fertilisers’ Emergency Response Team, ETS Emergency Training Solutions, ER24, Netcare 911 and some local private companies. 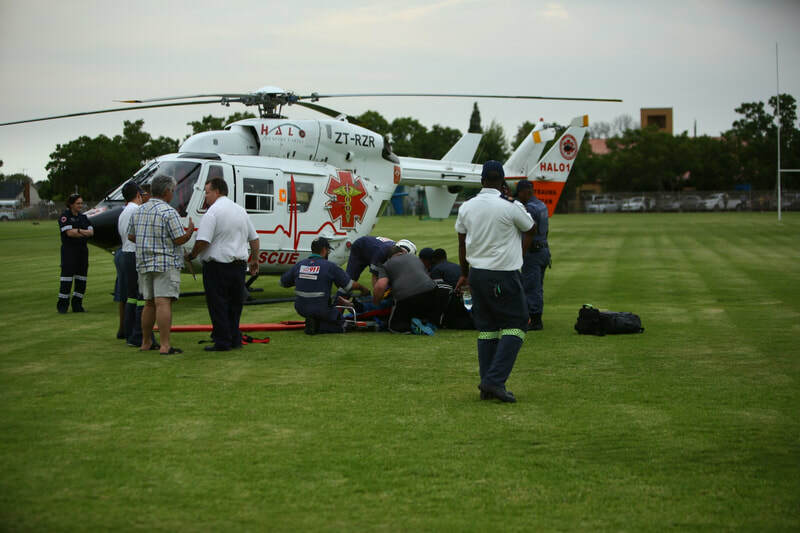 The community also assisted in unity. 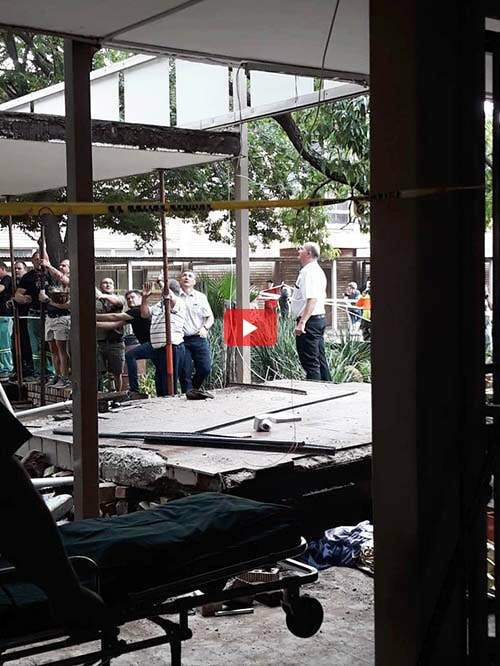 ER24 spokesperson Russel Meiring said when paramedics arrived on the scene, they found that the structure, which connected two buildings, had collapsed and trapped several people. 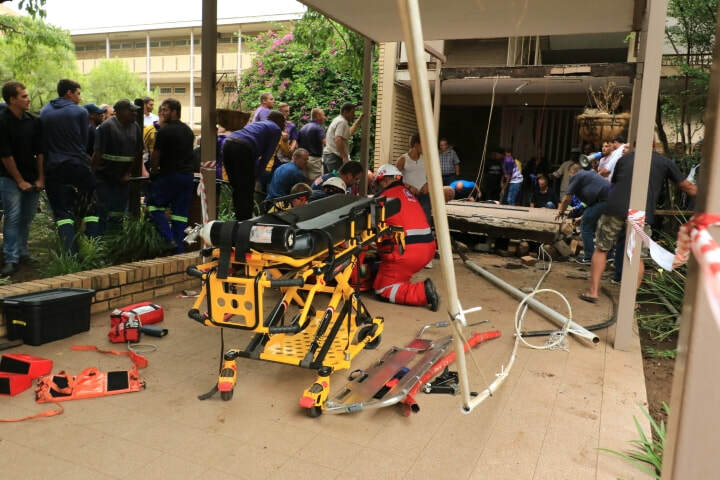 “The trapped patients were freed. 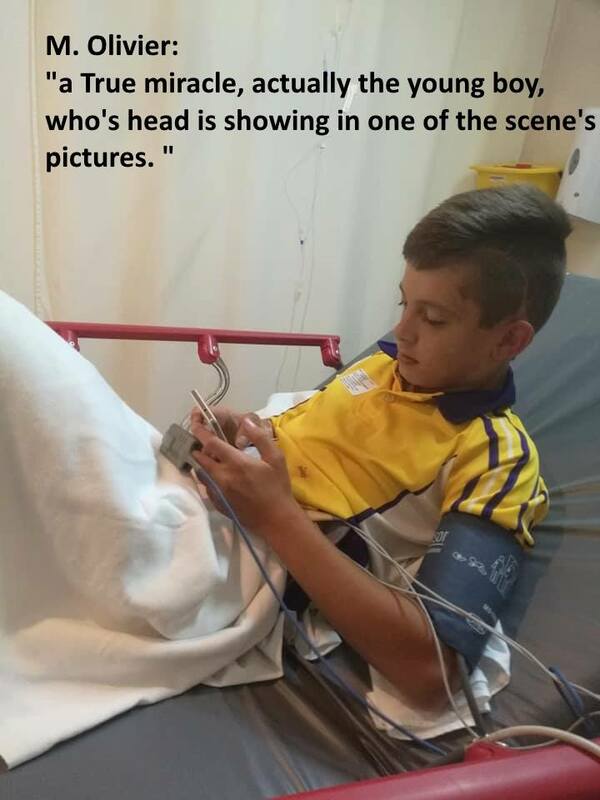 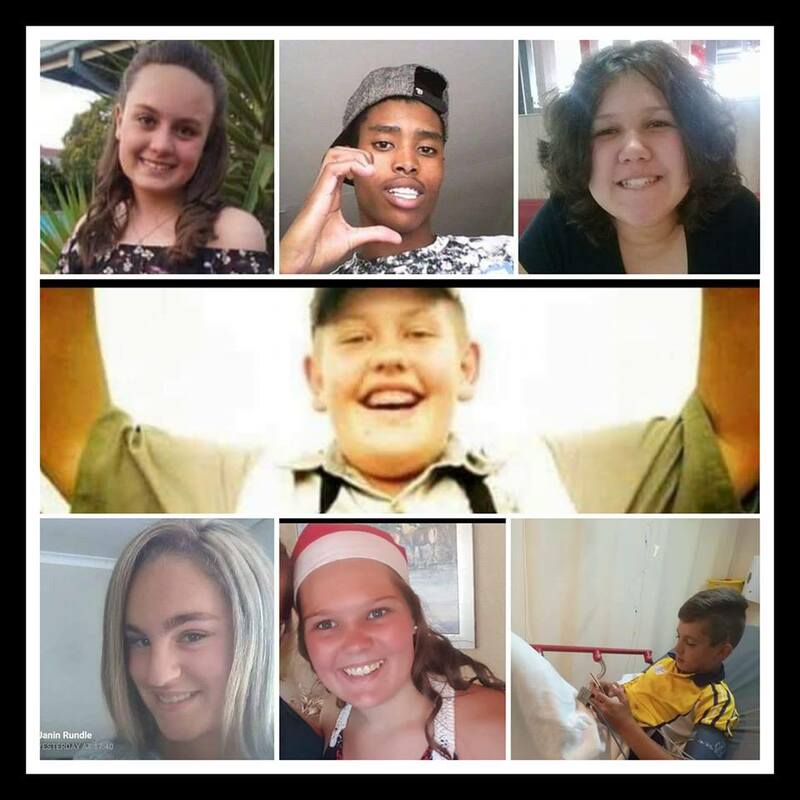 Three children, aged between 14 and 17, had sustained numerous fatal injuries. 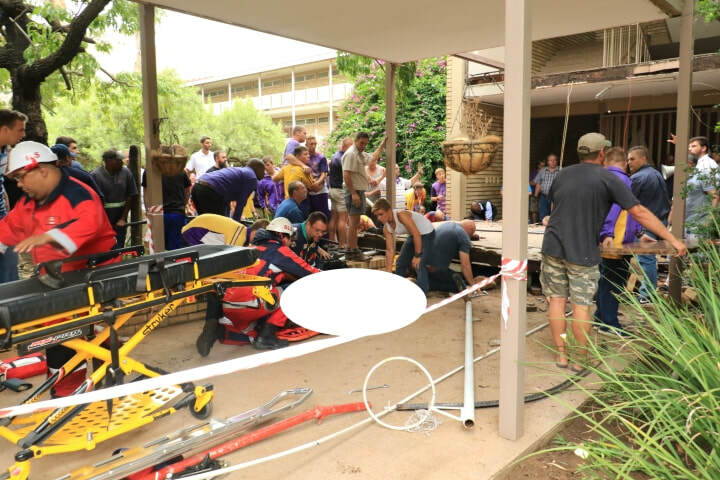 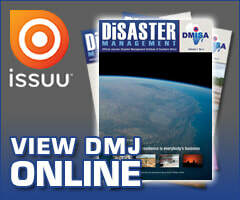 Nothing could be done for them and they were declared dead,” said Meiring. 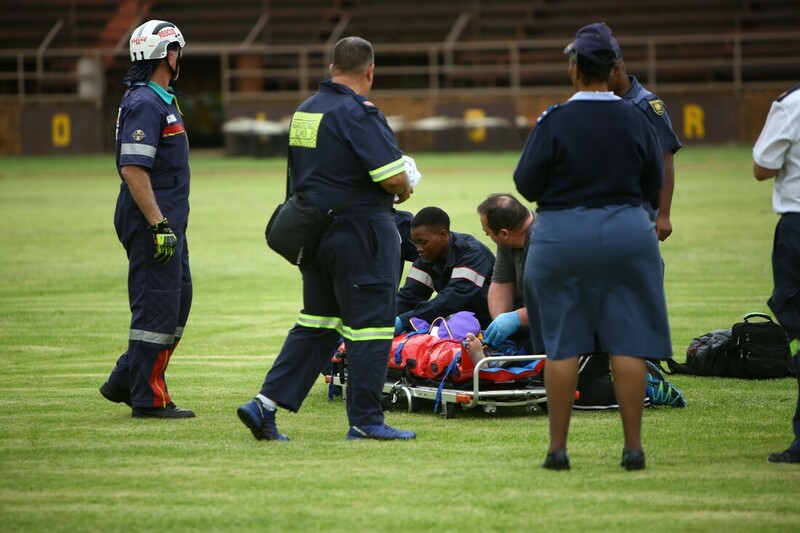 He said about 15 other patients were assessed, their injuries ranging from minor to critical. 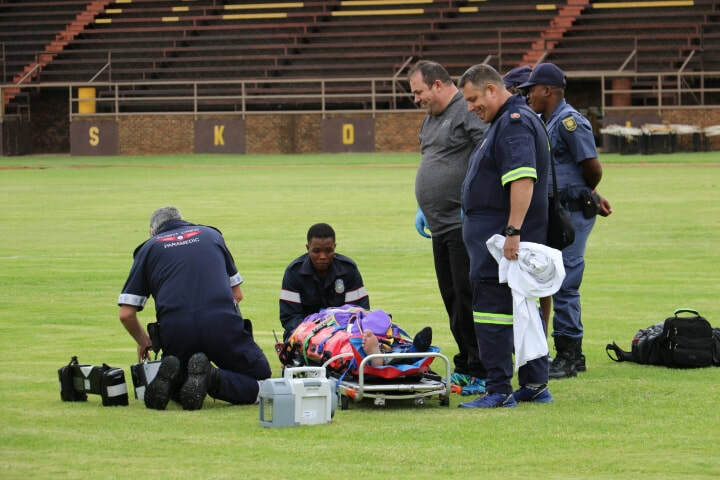 Some required advanced life support interventions. 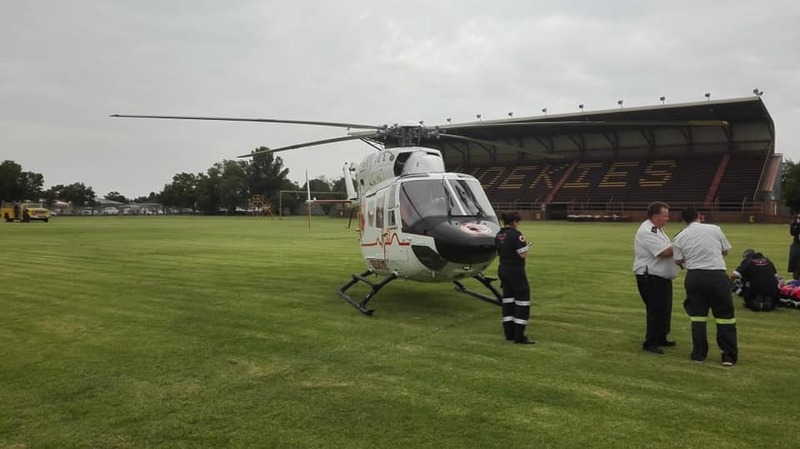 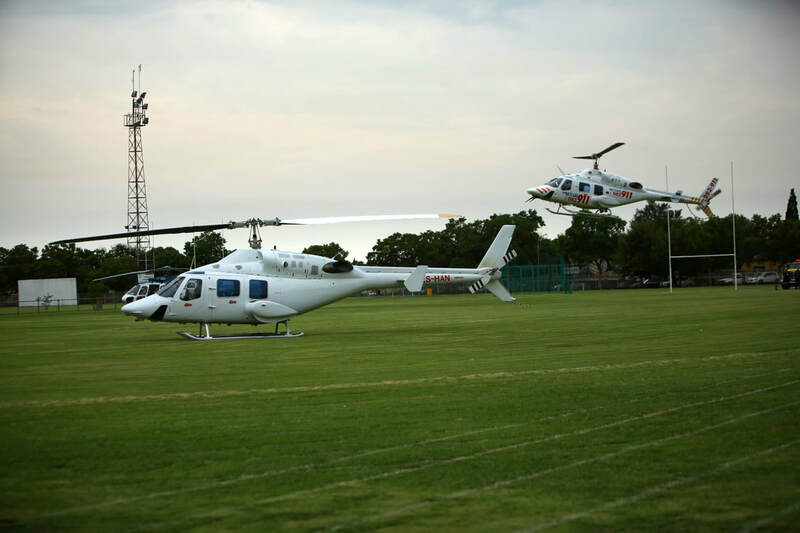 “Once treated, four children were airlifted to hospital by a private medical helicopter. 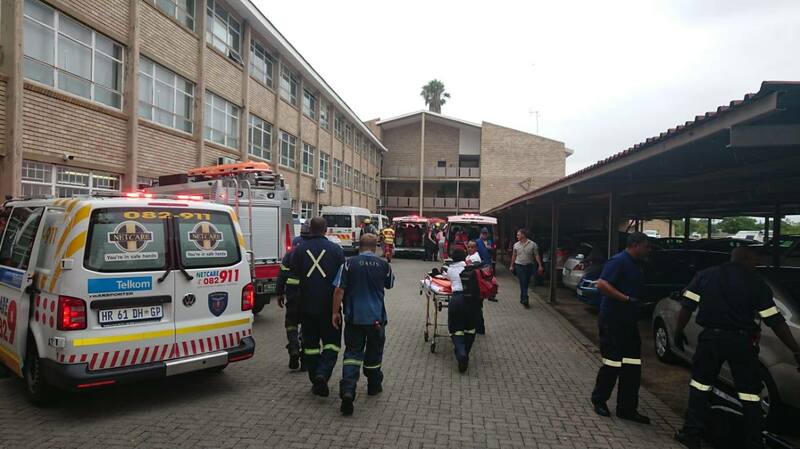 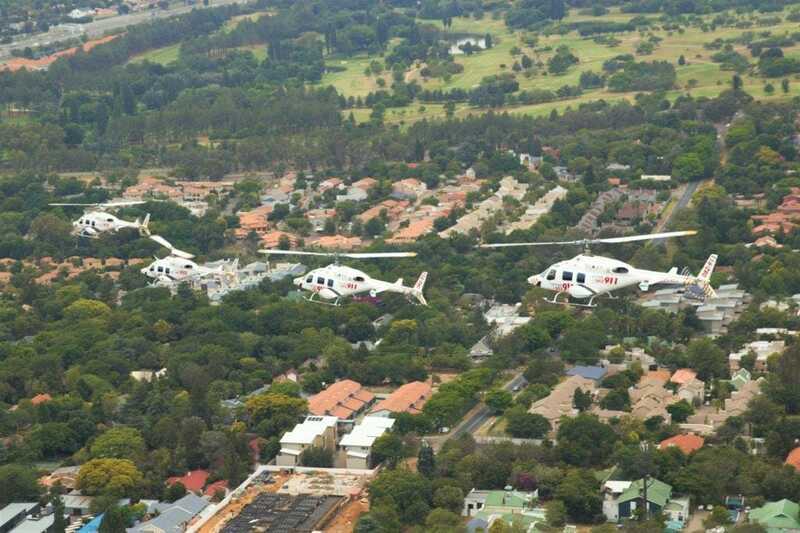 The remaining patients were transported by ambulance to various facilities in the area,” said Meiring. 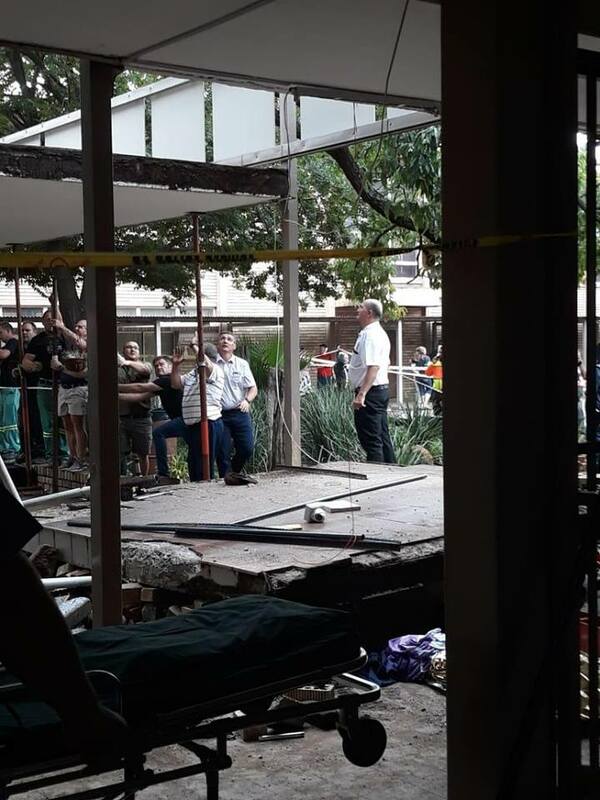 “Reports from the scene indicate that multiple people sustained injuries when a bridge collapsed, believed to have trapped people in the process,” explained Netcare911 media liaison officer Shawn Herbst. 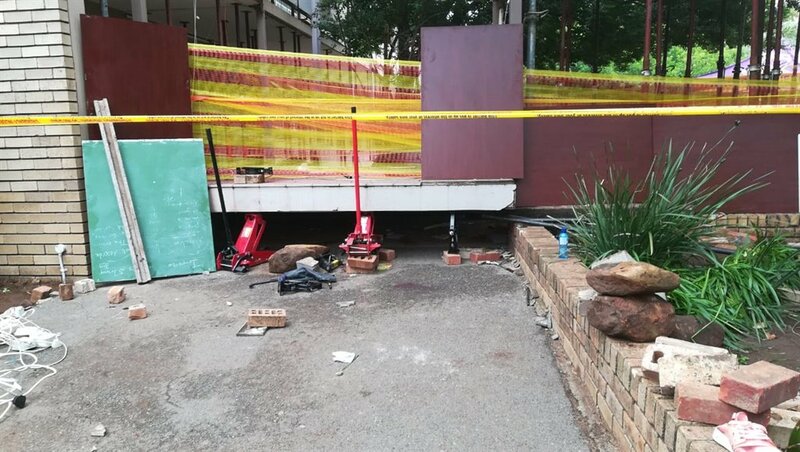 The scene was handed over to the SAPS as crime scene at 11h00. 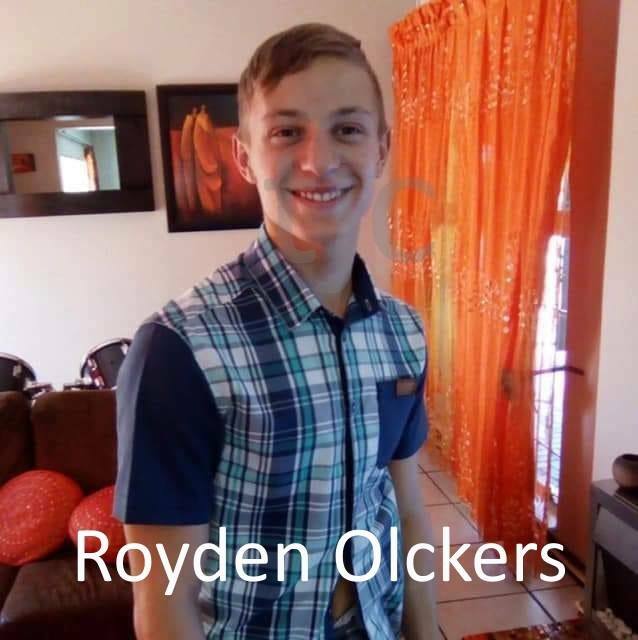 Royden Olckers’ last moment was sealed with one unselfish act; he didn’t think about himself at that moment, he only thought of others in that split second. 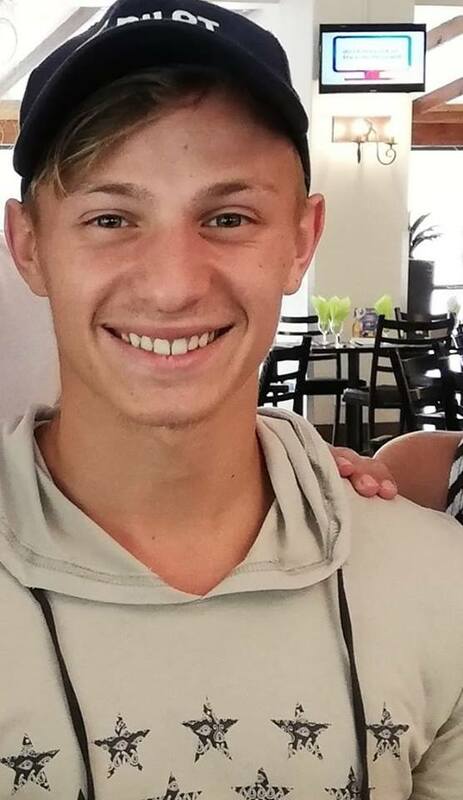 This very special brave young man pushed two of his friends to safety in his last second on earth and thanks to his heroic act, the two girls escaped without harm. 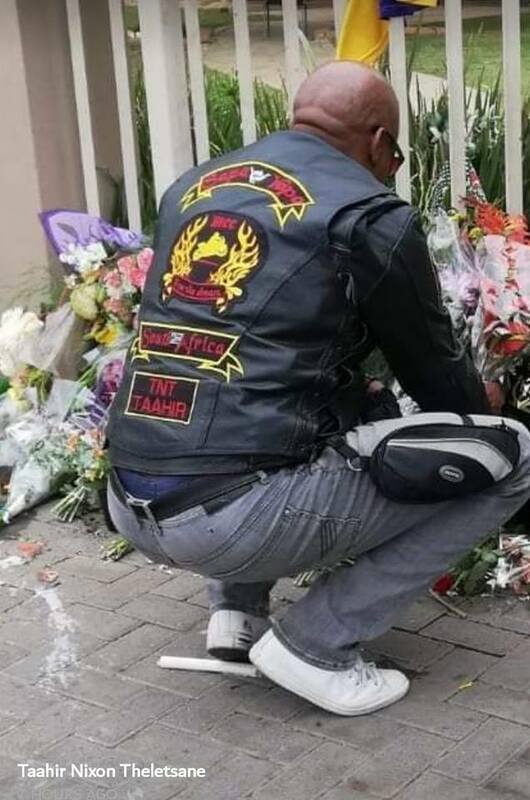 Royden, we salute you. 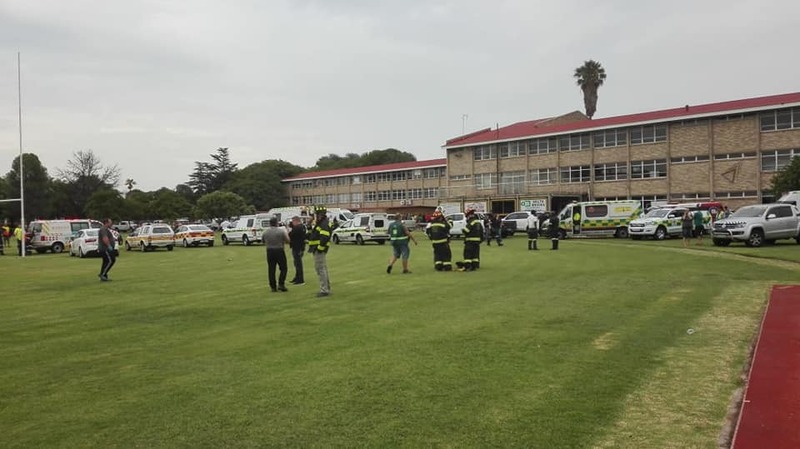 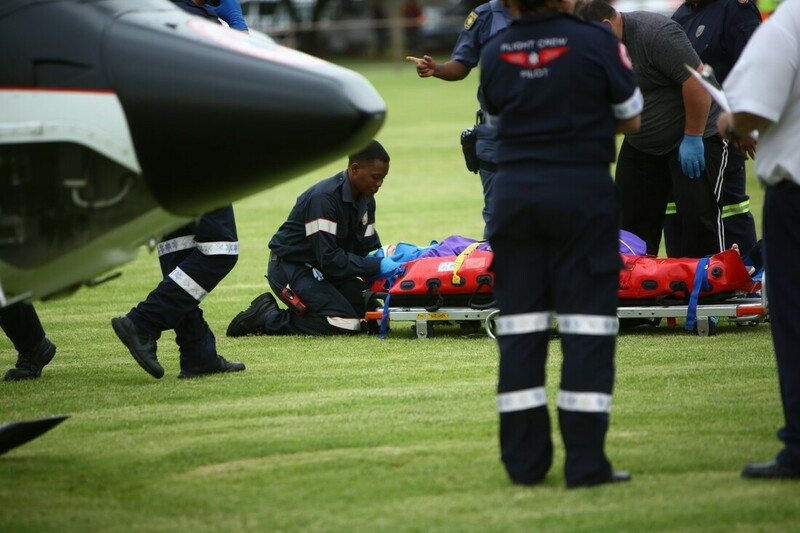 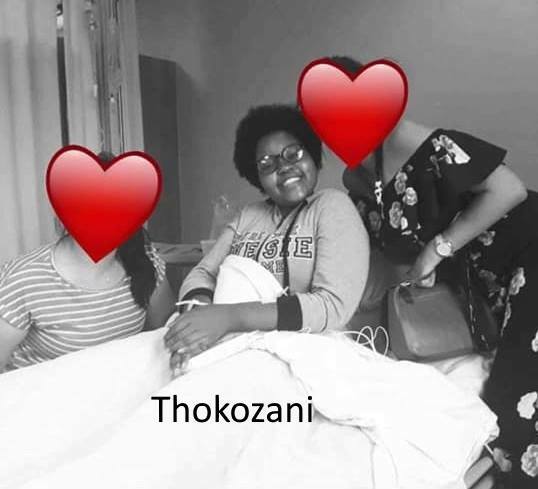 Gauteng Education MEC, Panyaza Lesufi, has delivered a statement from the school, calling the incident a sad day for the education sector and pledging to ensure the victims receive medical attention regardless of whether or not they have medical aid. 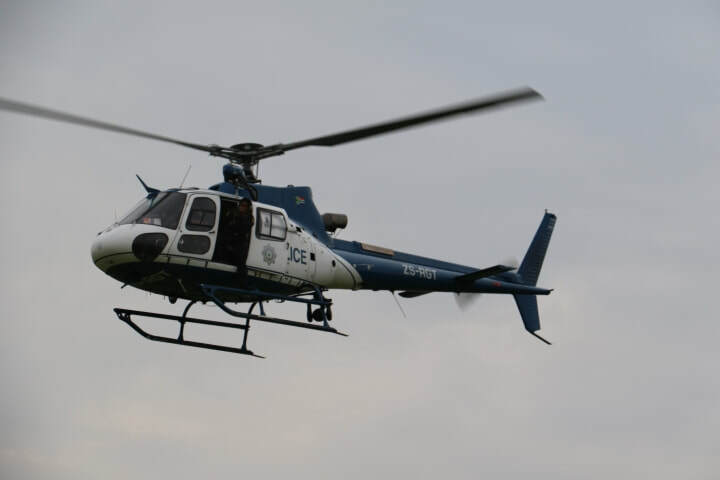 “Unfortunately in these kinds of incidents, law enforcement must perform their functions. 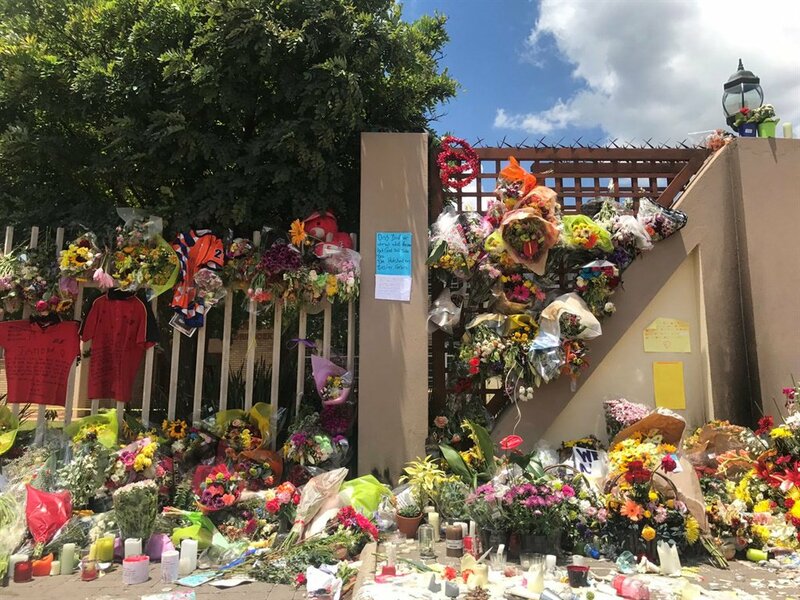 It breaks my heart to see those bodies still lying there. 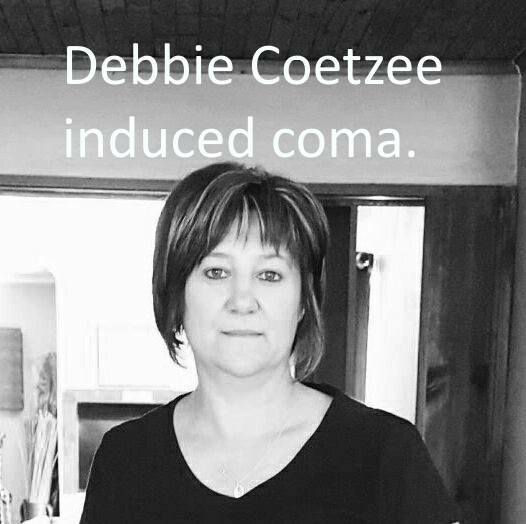 Those innocent souls. 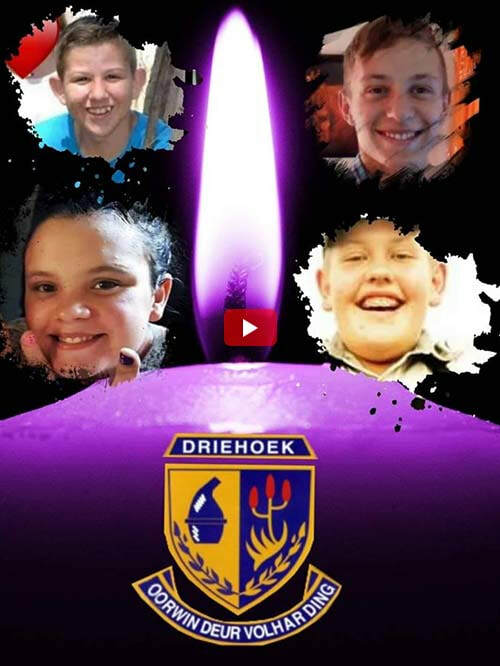 We urge that investigations be concluded so bodies can be released,” Lesufi said. He added that he will be travelling to various hospitals on Friday to lend the injured learners support. 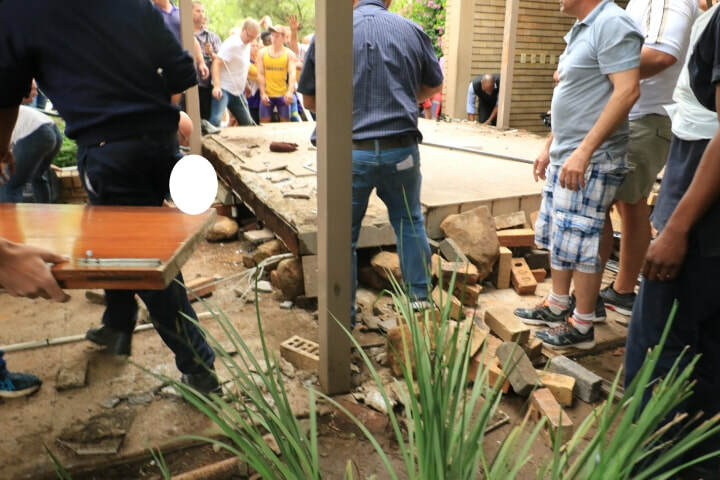 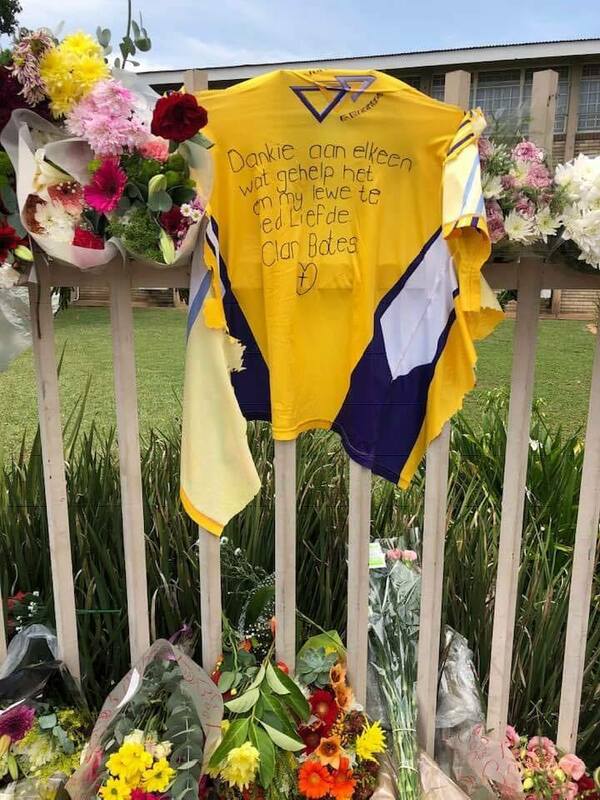 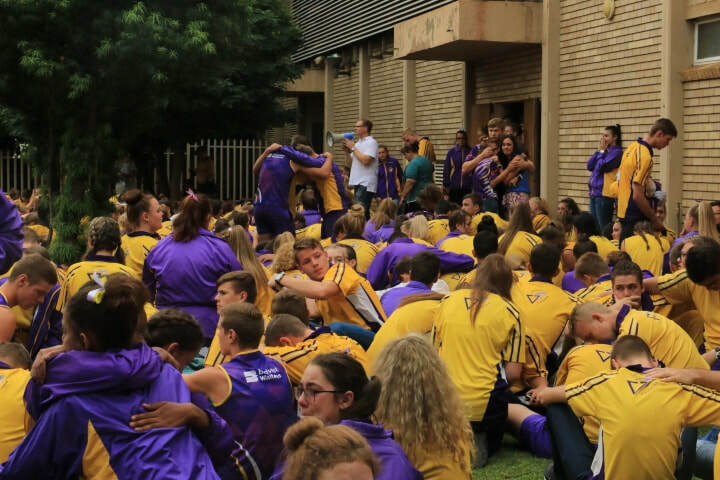 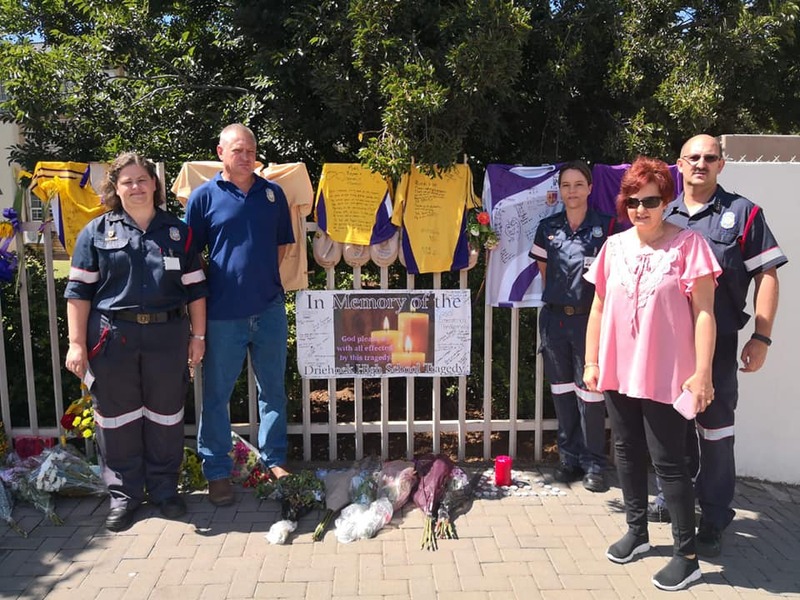 As the families of the four pupils who were killed at their school in Vanderbijlpark plan their funerals, the principal of the school says they had no idea the bridge that collapsed would pose such a danger. 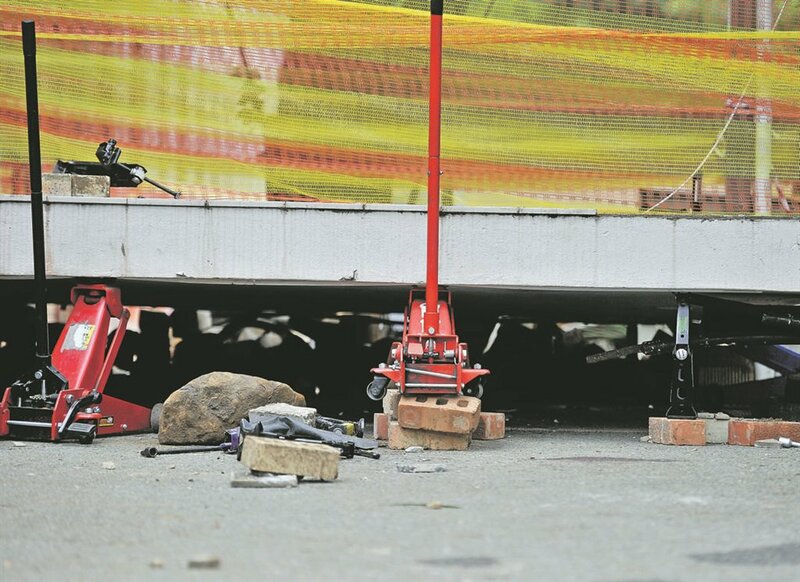 Hein Knoetze said that maintenance was conducted on the bridge throughout the year. 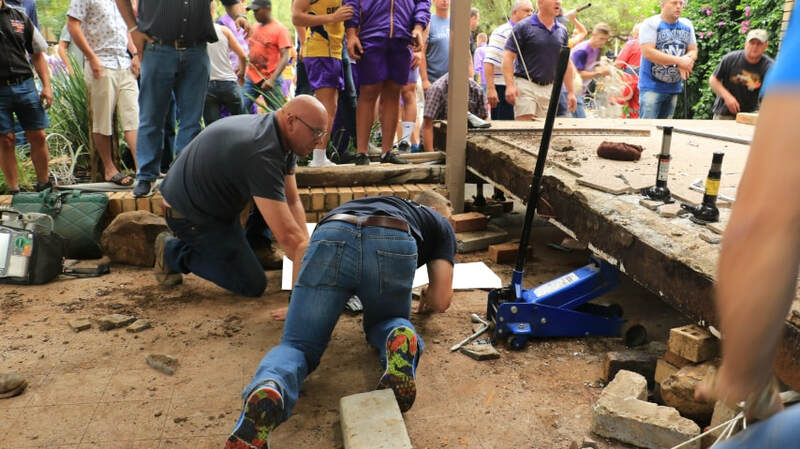 “The bridge was loose standing. 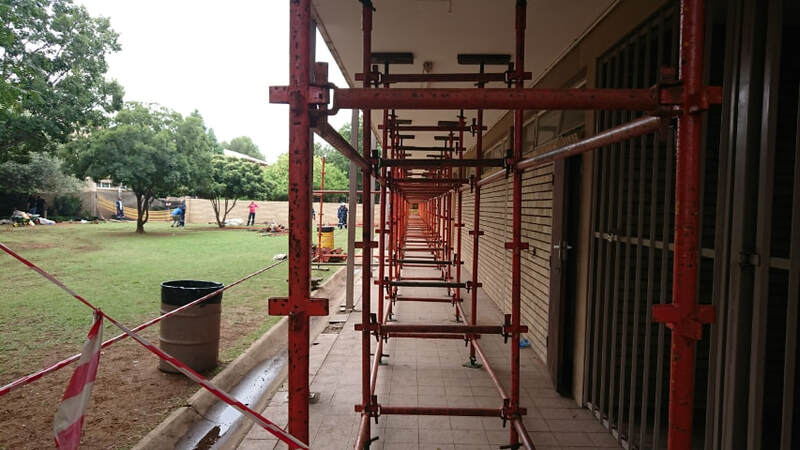 We never submitted a request to repair it to the department because we never saw it as a danger,” said the Hoërskool Driehoek principal. 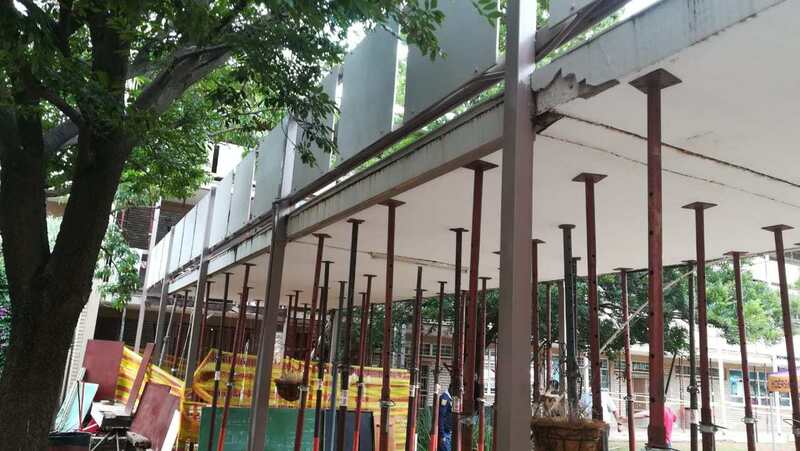 On Sunday, media reported that parents and members of the public had questioned how it was possible for the bridge to collapse, and fingers were pointed at the education department. 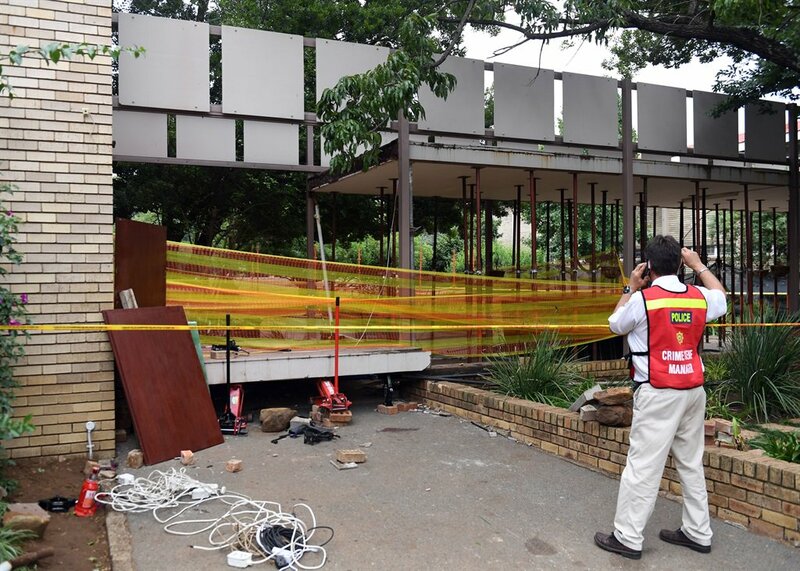 Gauteng provincial manager for the South African Human Rights Commission, Buang Jones, told the media that the education department together with the Emfuleni municipality should be held accountable for the collapse. 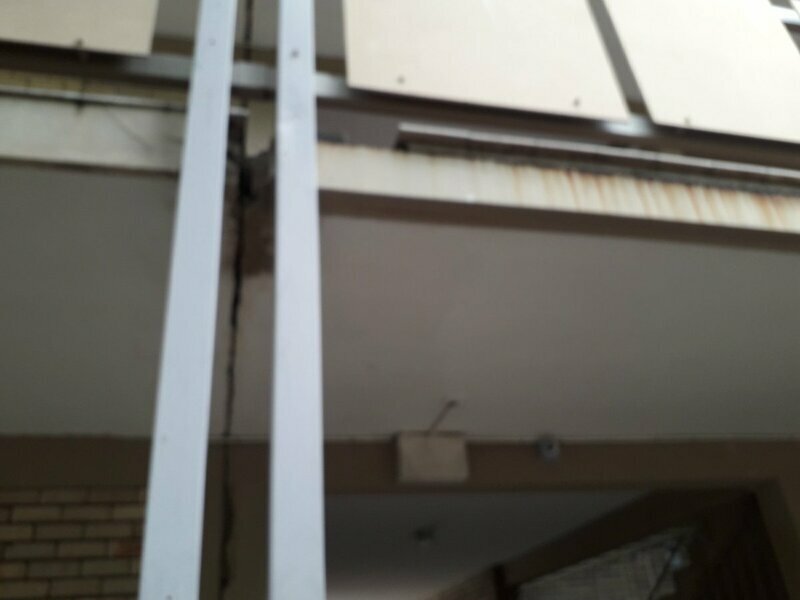 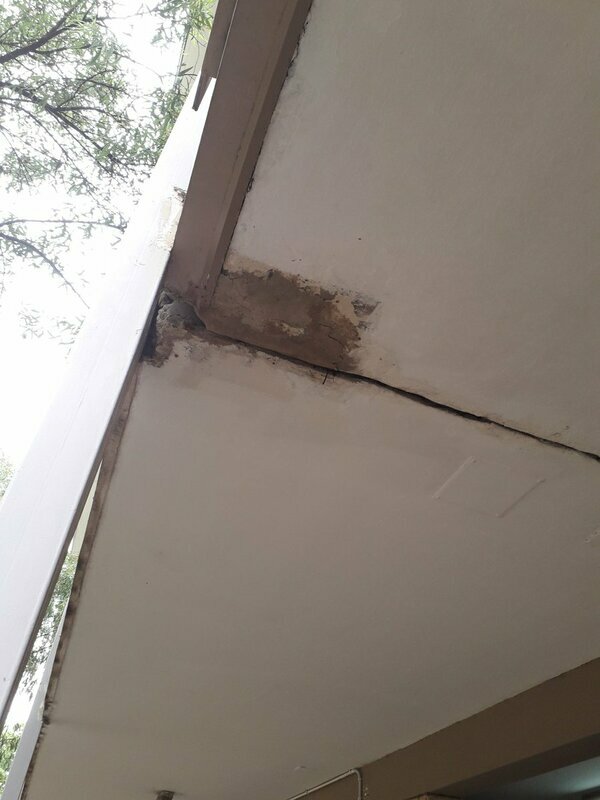 “We are concerned with reports that the department has failed to fix unsafe school buildings in the province and in this school particularly. 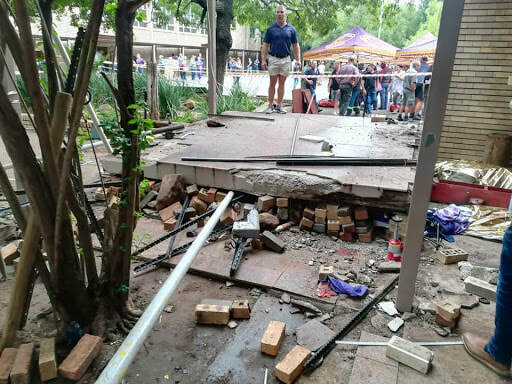 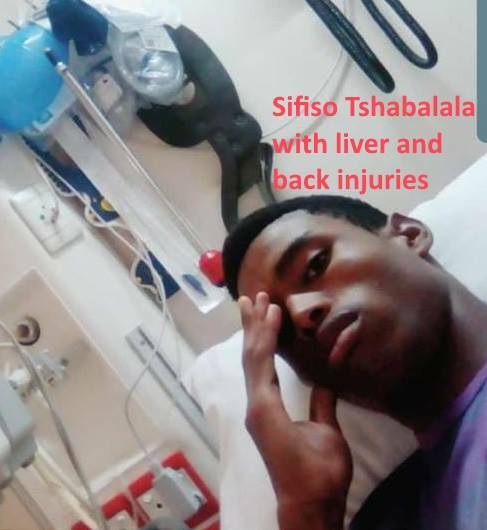 This incident was a violation of the right to life, the right to education and children’s rights by the department that has failed to ensure the safety of learners,” he said. 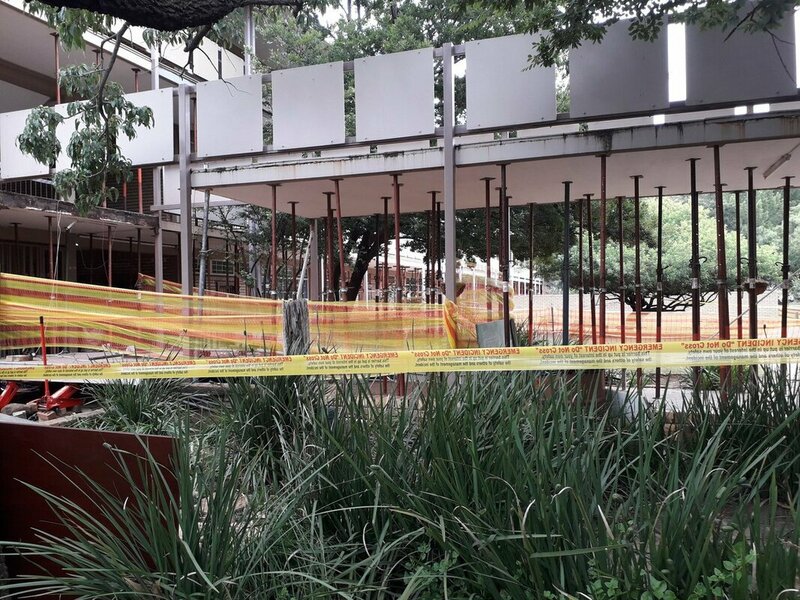 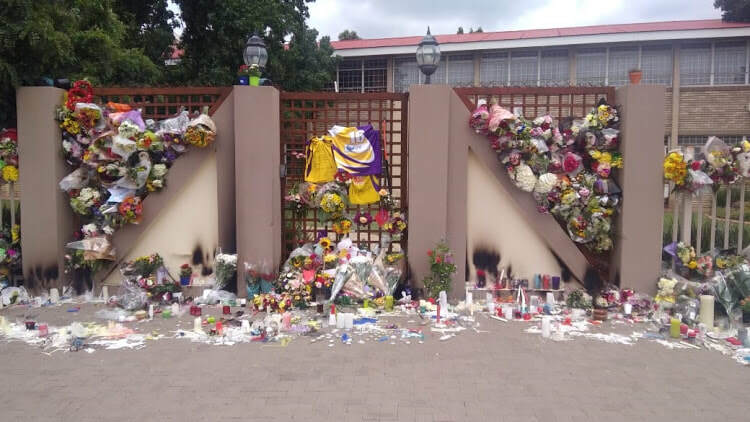 However, head of the Gauteng education department, Edward Mosuwe, said his department had not received a request from the school about the state of the structure prior to the incident on 1 February 2019. 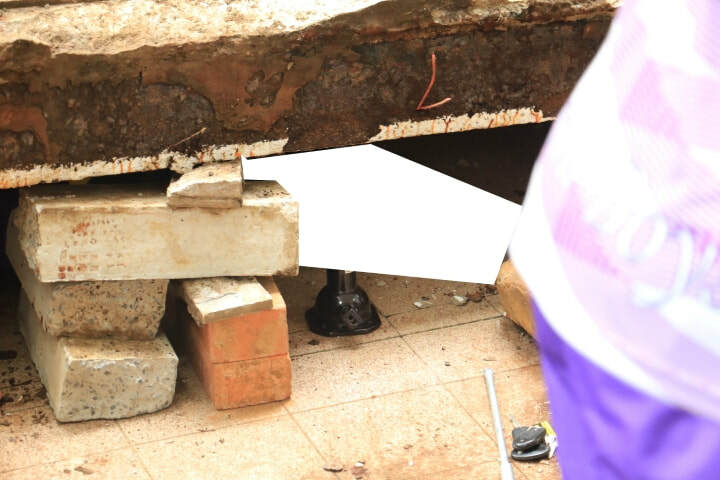 “Our indications are that there was never a report presented to us that spoke to the challenges of structural integrity,” he commented. 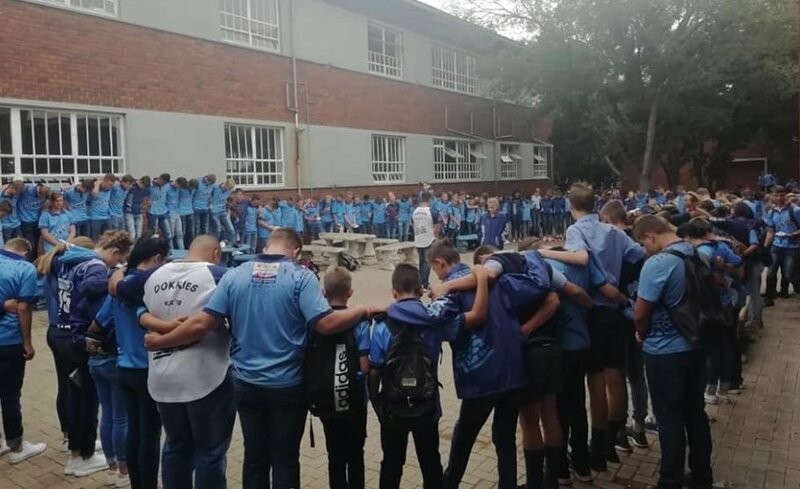 The department said that curriculum support for Grade 12 learners was top priority. 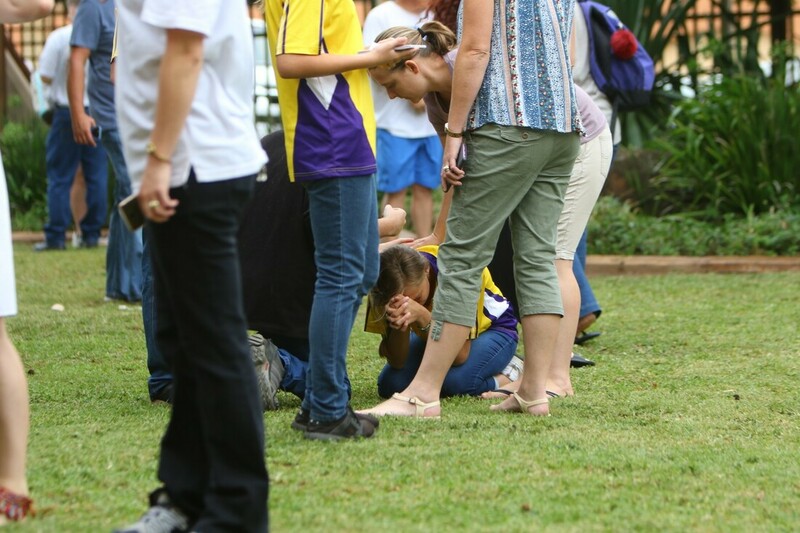 “Trauma counselling for Grade 12s would be concluded by today. 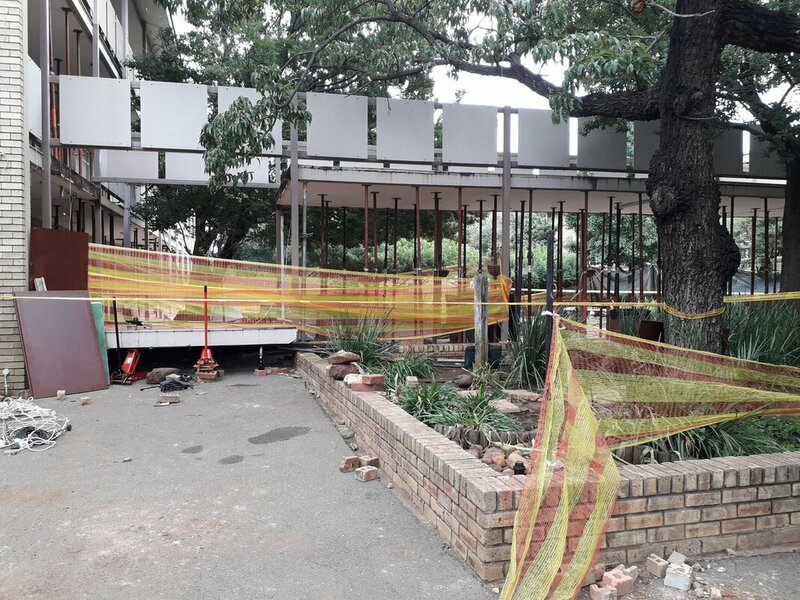 Trauma counselling for other grades is scheduled for completion by Thursday, 7 . 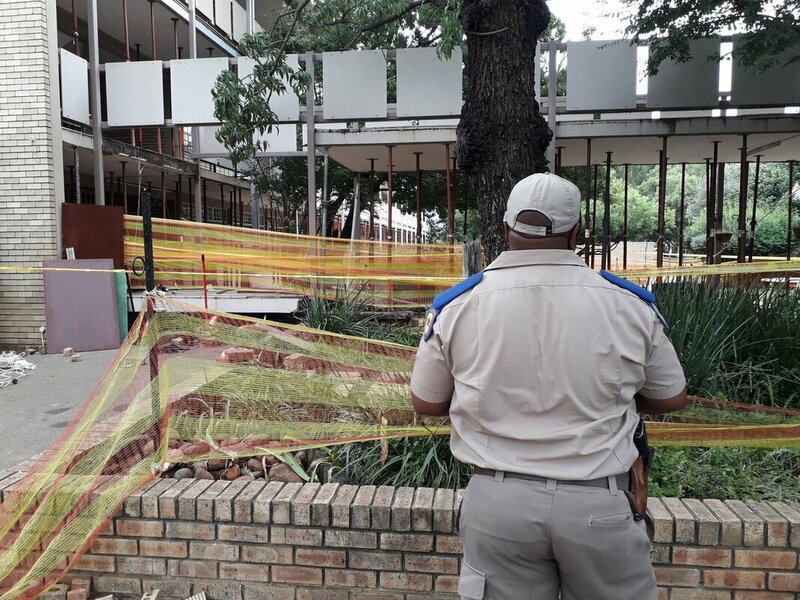 The school as far as possible intends to contain the curriculum internally to manage optimal usage of resources,” the department said. 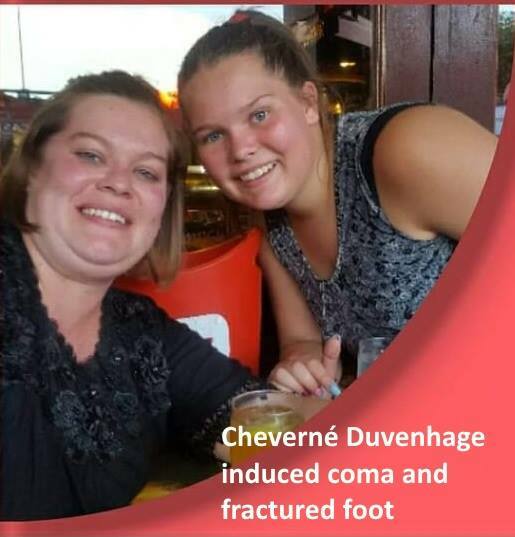 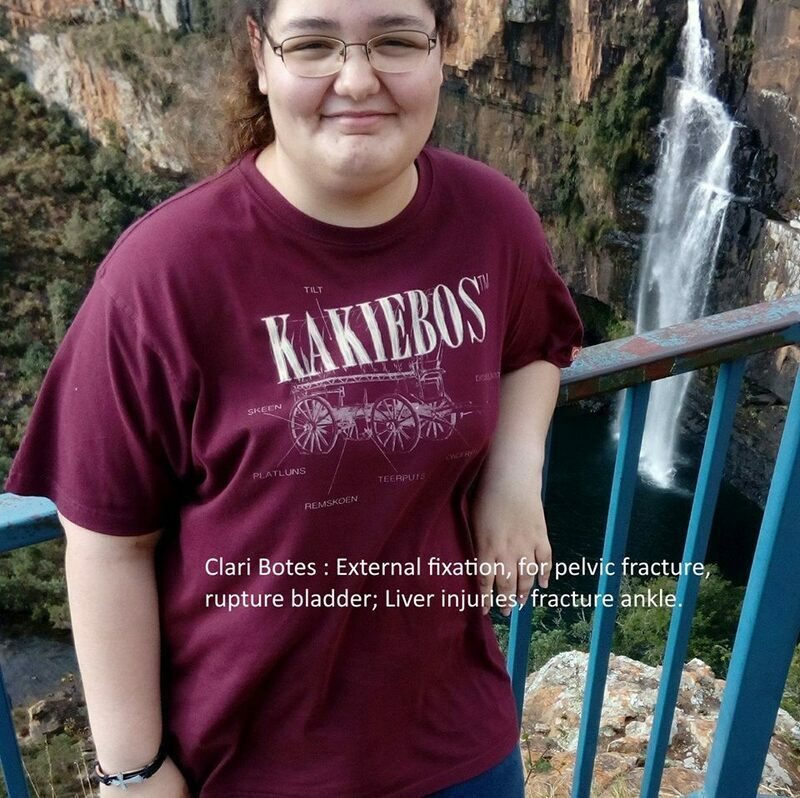 Clarice Peens: Fractured back in the thoracic region, in high care but stable. 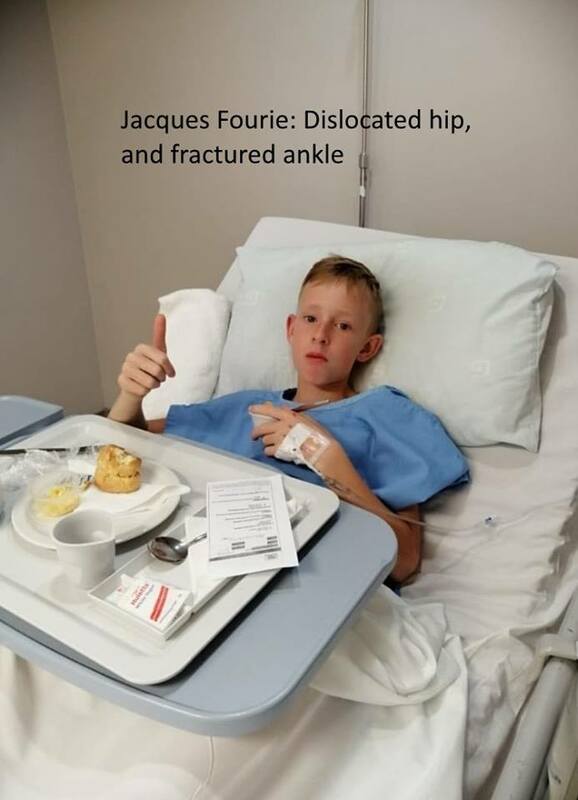 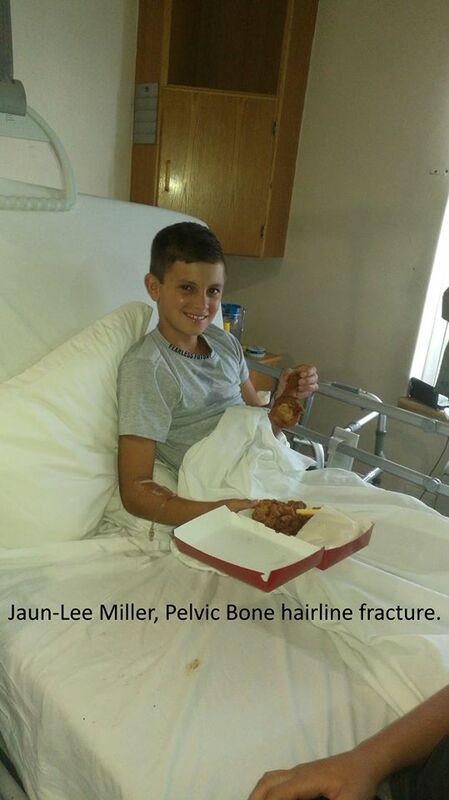 Jacques Fourie: Fractured ankle; dislocated hip; running a high fever. 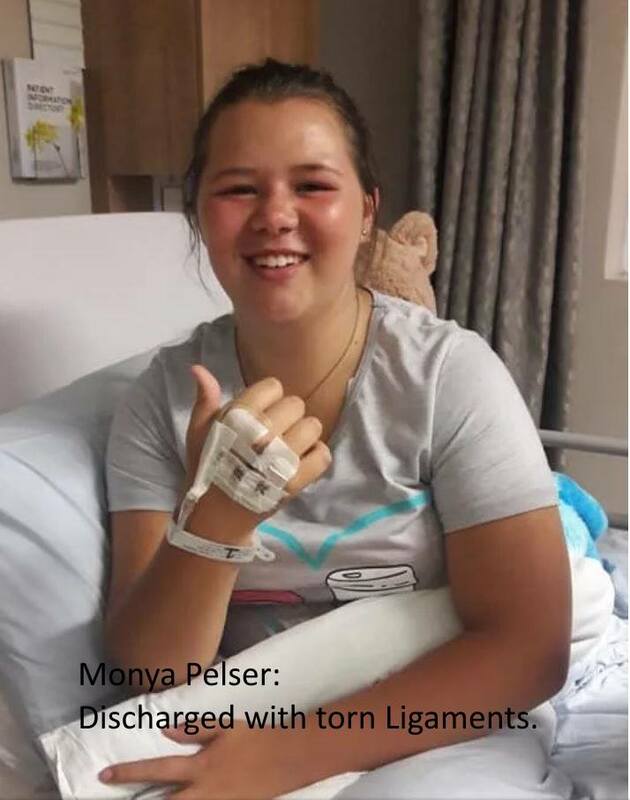 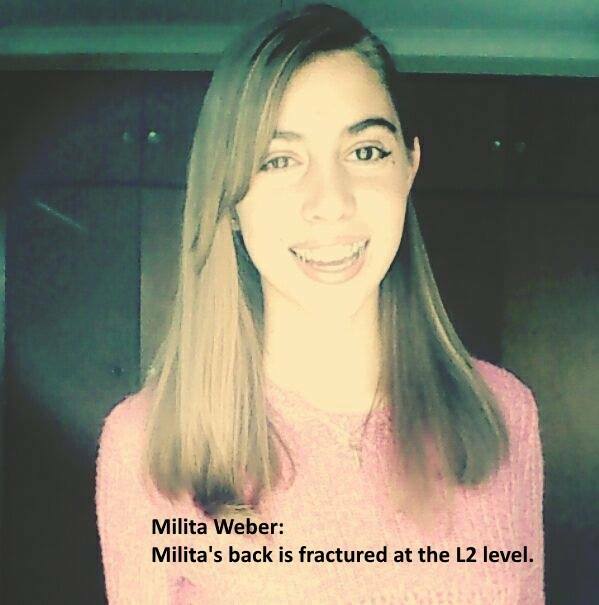 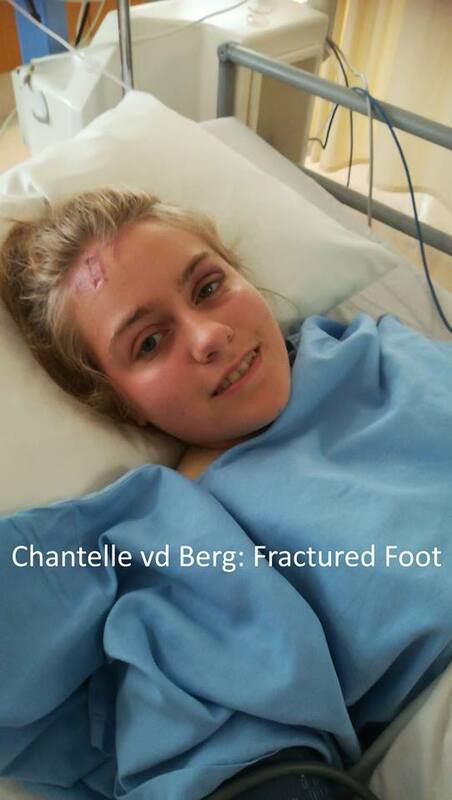 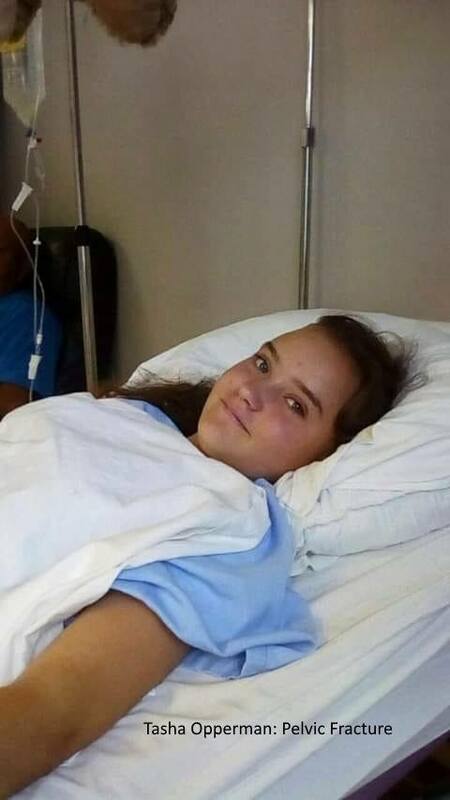 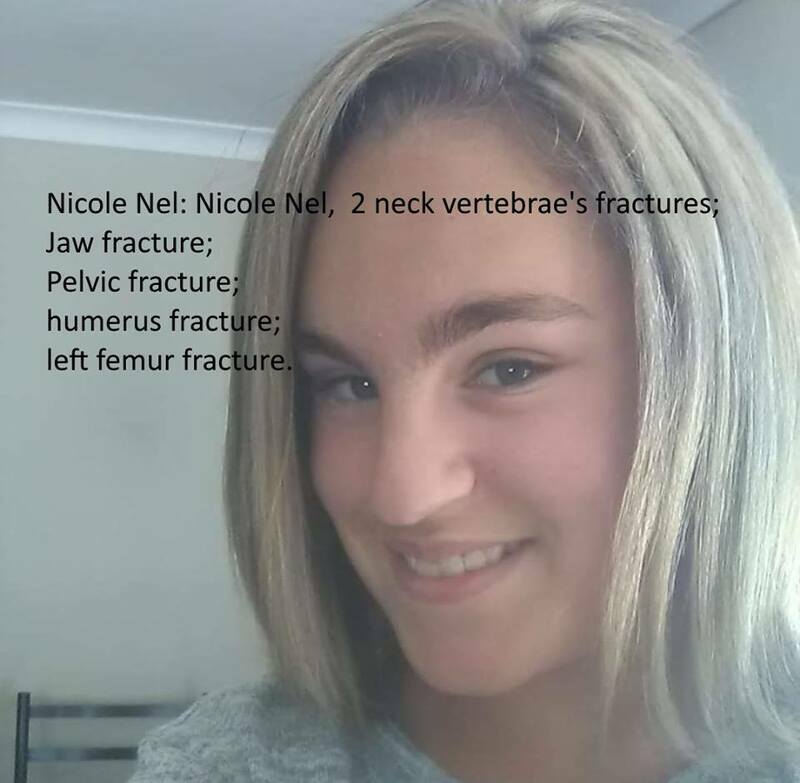 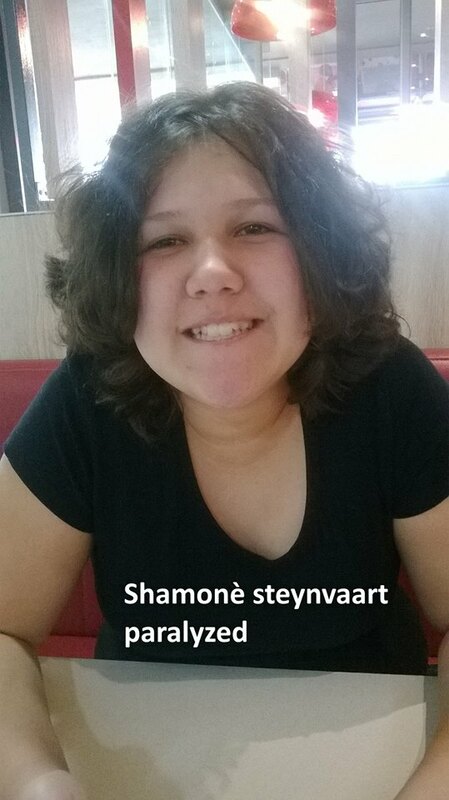 Tasha Opperman: Transferred to Millpark Hospital, will be operated on next Monday to fixate fractured pelvic bone. 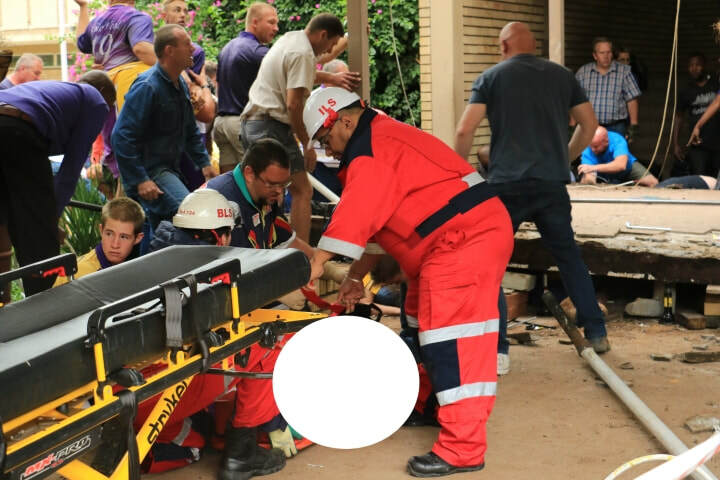 Fire and Rescue International applauds all responders to this tragic incident and extend our sincere condolences to the families and friends of the deceased children.